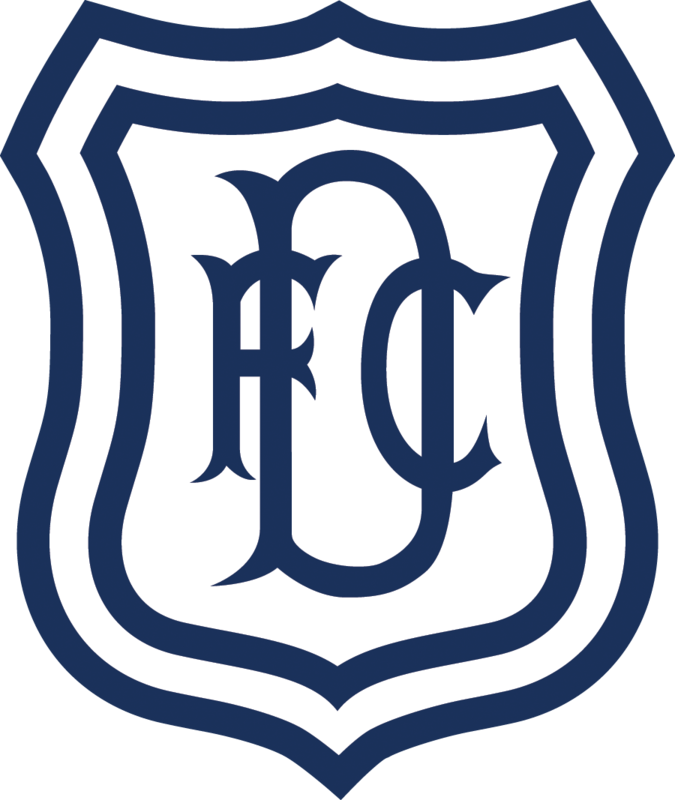 The Dark Blues paid a steep price for missing their chances as they went down 1-0 to Motherwell at the Kilmac Stadium at Dens Park. Dundee should have been sitting on a comfortable lead by the time Well produced a sucker punch with David Turnbull’s match-winning penalty after an hour. 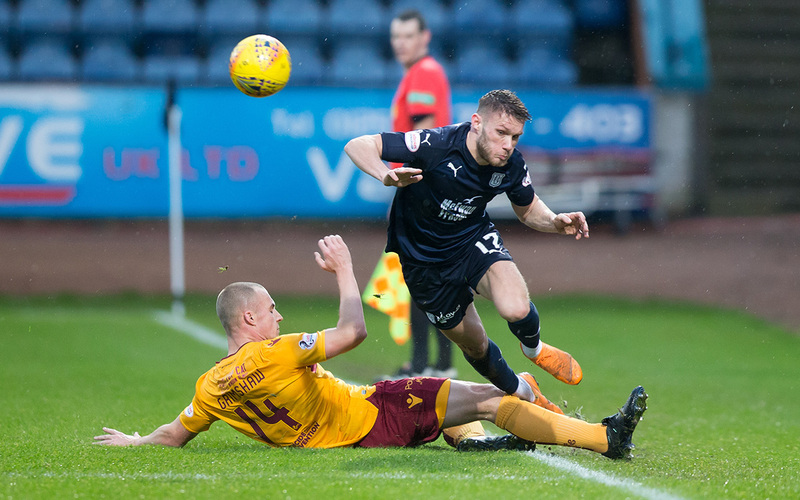 Dundee couldn’t turn heavy pressure into an equaliser and Motherwell were able to hang on. Both clubs fielded unchanged teams after their midweek wins. New boys Andreas Hadenius and James Horsfield were on the Dee bench. The game got off to a slow start with most of the early interest being Jesse Curran’s problems. He was limping after only a couple of minutes. Dundee played on with 10 men for several minutes while he was treated off the pitch. Eventually Roarie Deacon came on to replace him. Andrew Nelson’s harrying of Well’s defenders seemed to have paid off when he robbed Charles Dunne. However, Mr Collum’s whistle stopped his run clear on goal, to the relief of the fortunate Dunne who looked a victim of his own carelessness rather than an illicit mugging. The Dark Blues continued to press effectively high up the pitch. Andy Dales and Craig Curran ganged up on Liam Grimshaw to win the ball, and Dales ran on to shoot across goal and narrowly wide. Most of the attacking and invention was coming from the Dark Blues, but Motherwell went close with a Curtis Main snapshot. Dundee continued to exert pressure on Motherwell but couldn’t break their defence down. Well’s keeper Mark Gillespie missed a Woods corner but his defence managed to scramble the ball clear and then withstand a seige as Dundee pinged the ball around the penalty area without finding a way through. The Dark Blues passed up two great chances late in the first half. The ball broke to give Martin Woods a clear sight of goal, 16 yards out, but he sliced his shot wide. Andrew Nelson missed an even better chance when he bundled his way clear on the end of Craig Curran’s header. With time to pick his spot he hooked a disappointing effort wide. The Dark Blues had been on top as the first half ended, and they stepped up their game to put Motherwell under the cosh after the restart. Dales had a shot blocked for a corner from which Deacon sent the ball flying through the goalmouth with no-one able to get a touch. 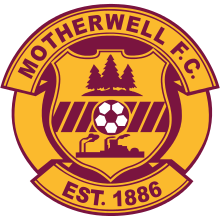 Motherwell spent the first 15 minutes of the second half hanging on, apart from one brief excursion up the park that produced a corner. The Dee settled back into attack and Craig Curran sent a header just past the post from Nathan Ralph’s fine cross. With the home fans sensing a goal they cranked up the volume as they got right behind the team. Only last ditch defending kept Nelson out at the end of Dales’ dangerous run. The goal did arrive, but it went to Motherwell, against the run of play. Ryan Inniss made an unnecessary and ill-judged challenge on Elliot Frear. He caught the Well substitute late and David TURNBULL scored from the resulting penalty. It had always looked like a game in which the first goal would be crucial and so it proved. The goal changed the game dramatically. Motherwell were instantly transformed and the Dee were sandbagged. For the next 10 minutes Motherwell ran the game and threatened to extend their lead and go on to win comfortably. Well didn’t use their spell of dominance productively and the Dark Blues worked their way back into the game. For the last 20 minutes Dundee battered away but they lacked the intensity and penetration they had showed earlier. Perhaps it was a question of nerves, or confidence, but they couldn’t quite find the right passes or crosses to set up enough chances at the end of promising attacks. Roarie Deacon sent a 25 yarder zipping over the bar, then forced a good save out of Mark Gillespie after Dales had opened up space with an aggressive run in from the left. Dales again set up a chance for Deacon, who took to much time to get his shot away and the defence blocked. Deacon was then bundled over from behind as he tried to control the loose ball, but Mr Collum ignored the penalty appeals. Kenny Miller and Benjamin Källman came on for Andrew Nelson and Craig Curran, who had both never stopped running and chasing, but Well held out. The Dee had a series of corners in the three minutes of injury time, but the nearest to a goal came when Motherwell were able to break. With four men facing only Cammy Kerr they tried to take the ball into a corner, where they lost it. This was a particularly frustrating defeat for the Dee. It was a game that Dundee should have won and they probably would have done if only they had converted one of those chances into an opening goal. Obviously scoring first is always important, and that was painfully clear today. the turn of the year. There were many good performances throughout the team. The combination on the left of Nathan Ralph and Andy Dales was especially promising. Dales repeatedly threatend the Motherwell defence, and he was ably assisted by Ralph. Today’s match turned on a few moments when Dundee didn’t get it right. All that was missing was the final touch. Unused subs: Parish (gk), O’Dea, Deacon, Hadenius, Horsfield. Unused subs: Ferguson (gk), Johnson, McCormack, Hartley. Booked: Grimshaw (foul on Dales). Attendance: 4,887 (396 away fans). Referee: William Collum. Assistants: Kylie Cockburn, Andy Milne. Fourth Official: Lloyd Wilson.